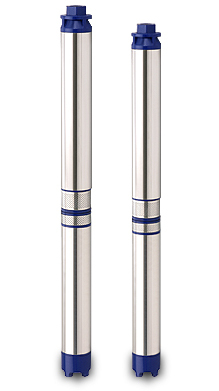 F-Tech's V3 Submersible Pumps are available in size up to 1.50 H.P. with flows upto 80 LPM. V3 submersible pump is ideal for low yielding capacity bores. It is also best suitable where 4" submersible pump could not be fitted, for example old handmade bores. V3 is also suitable for water supply to domestic water supply, complexes, gardens, farms, etc. H.P. Range 0.5 H.P. to 1.50 H.P. Discharge at Duty Point 24 to 55 L.P.M.